If your vehicle is damaged and you aren't able to bring it into a shop, Huntington Beach, CA, mobile car dent repairs may serve as a convenient solution. Here at Dent Masters Mobile Service, our punctual and professional staff will come to you, saving you both time and money. We guarantee your satisfaction with our same-day service, and we'll make your vehicle look like new again. Our company has served the area since 1991, and we'll complete your dent repairs without damaging the paint on your car, truck, or SUV. Are you looking for high-quality work in your area, mobile repairs that can be completed in less than an hour?  Whether you have a large dent due to an accident or a series of small dents stemming from everyday wear and tear, look no further than fully insured Dent Masters Mobile Service. Give us a call and schedule your service today. When your vehicle is looking a bit lackluster due to damage in an accident or is showing signs of age, paintless dent removal services can help your car appear brand new again. The technicians at Dent Masters Mobile Service guarantee our high-quality work as we remove dents from your vehicle, our process won't damage your current paint job. We can usually complete your repair in less than an hour. We provide mobile dent repair services to your home or office. You'll appreciate the fast response you get from our punctual, professional staff. When you want quality Company, paintless dent removal that saves you both time and money, Dent Masters is your answer. Contact our office today and let us know how we can make you proud to show off your car again.